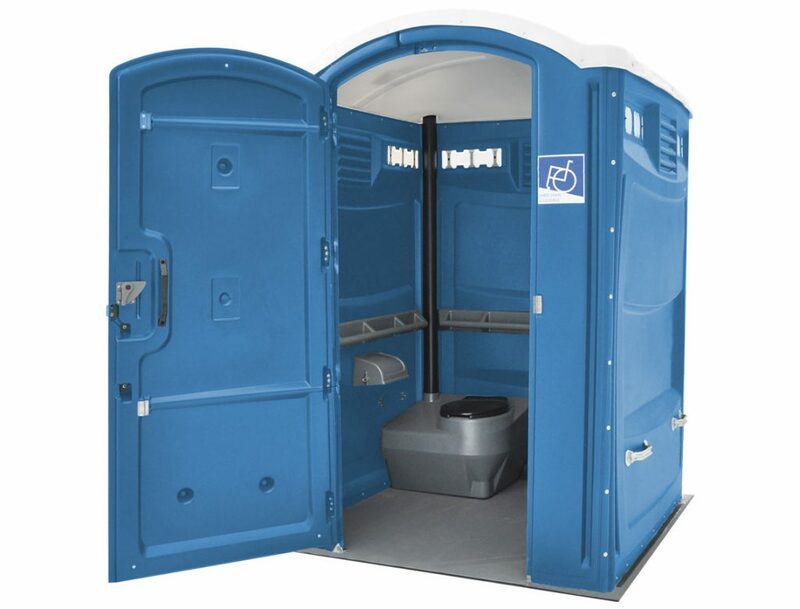 Our handicapped-accessible porta potty provides easy wheelchair entry, spacious interior, self-closing door and interior grab rails. 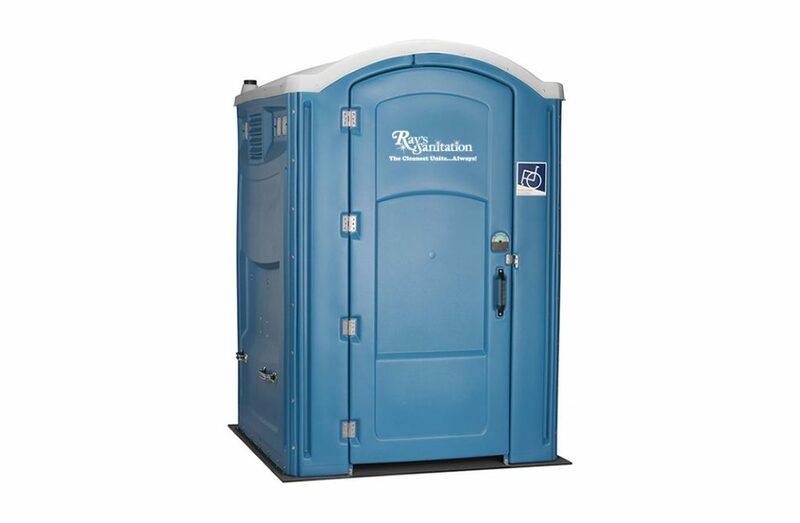 It comes with a wall-mounted hand sanitizer dispenser and three rolls of toilet paper. 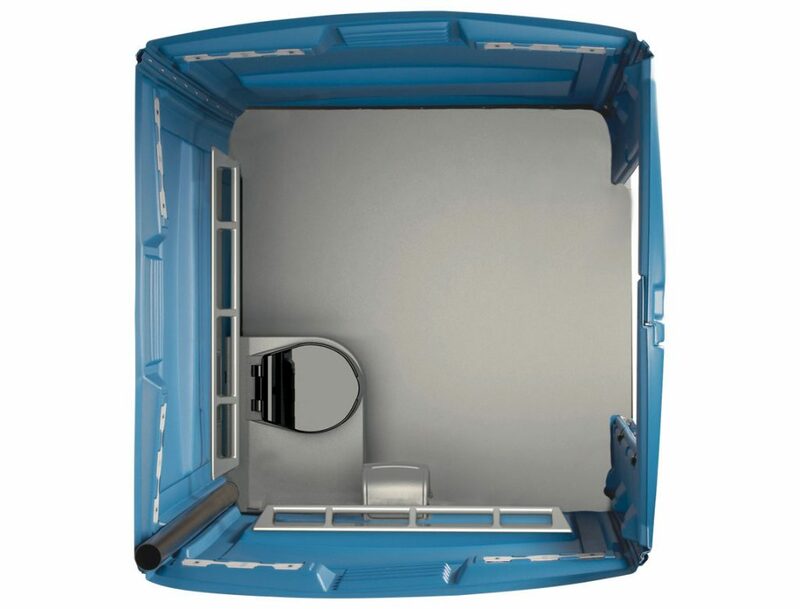 This portable restroom can also be used as a family restroom—giving parents with small children a convenient and safe restroom option.